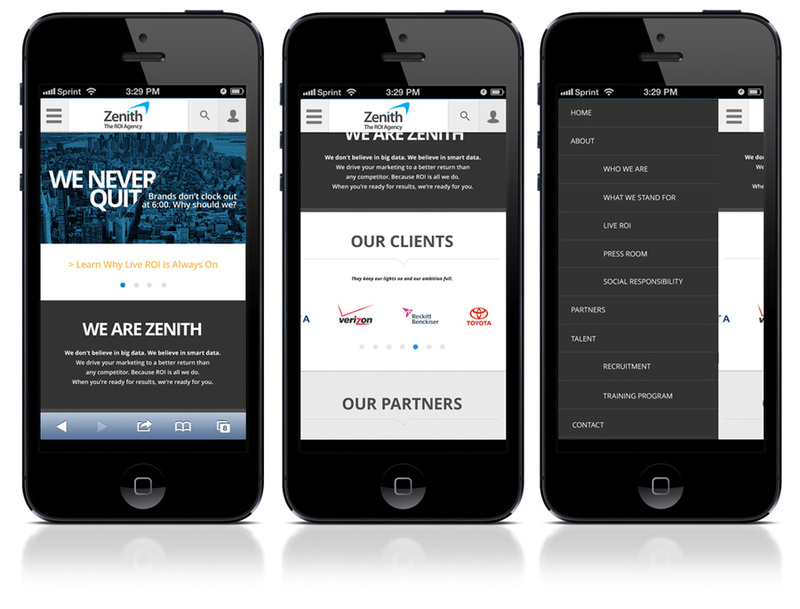 Zenith, a premier global media services company, needed a web presence specific to North American that focused on demonstrating their forward-thinking culture and methods through a clear credo and vision. This was accomplished through the language and design by zeroing in on what makes Zenith great: powerful partnerships, passion for their people, and a relentless drive to succeed. The concept features responsive design with a persistent navigation, a parallax-type scroll, and a streamlined UX to accentuate the confident and focused personality of the brand.